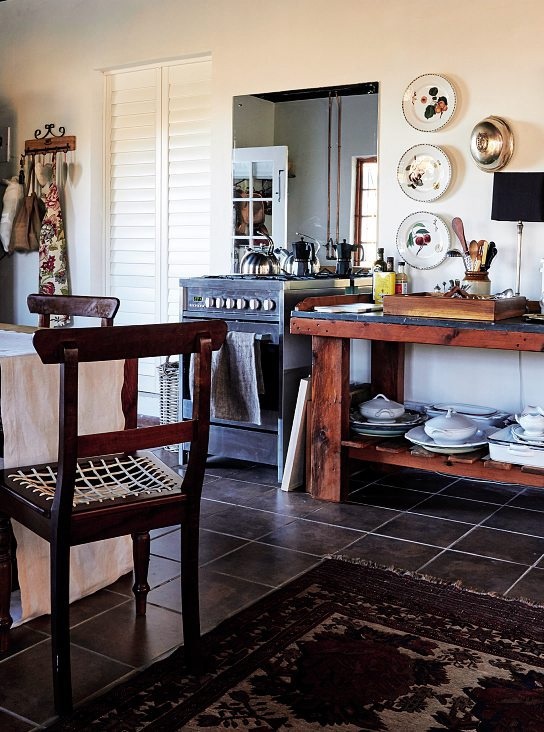 We love the way these readers gave new purpose to used “second-hand junk”! 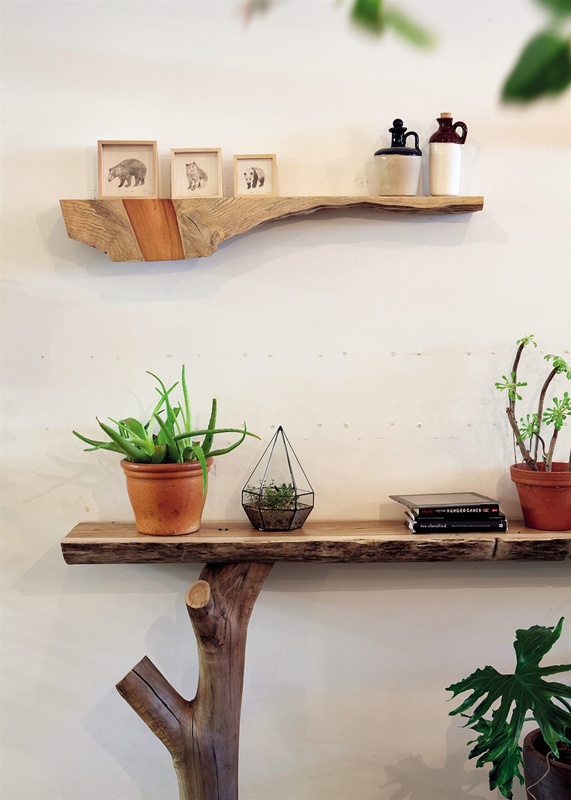 Discarded oak, black wood, blue gum and kiaat offcuts make for beautiful wall shelves. Look out for any mites or bugs that may have nested in the wood; a clear sign is minute piles of sawdust. 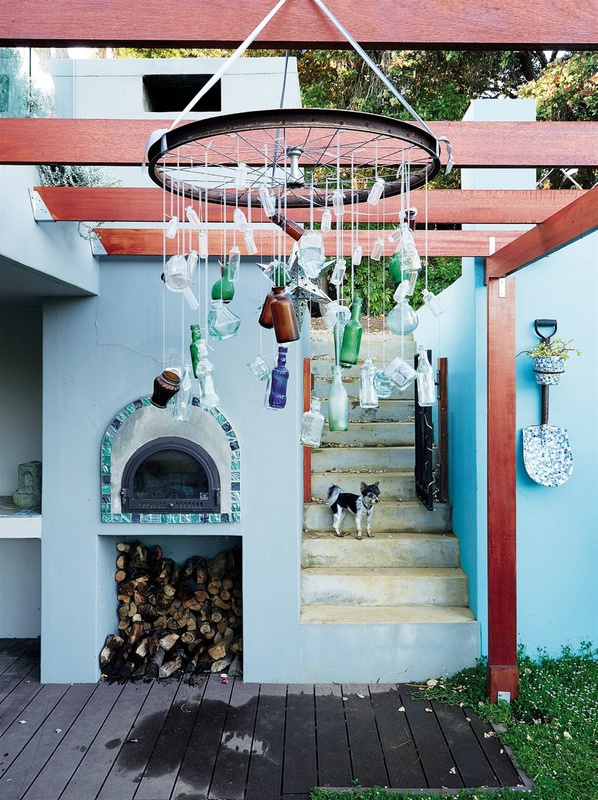 We love this unusual stoep feature made of a collection of vintage glass bottles suspended from an old bicycle rim. 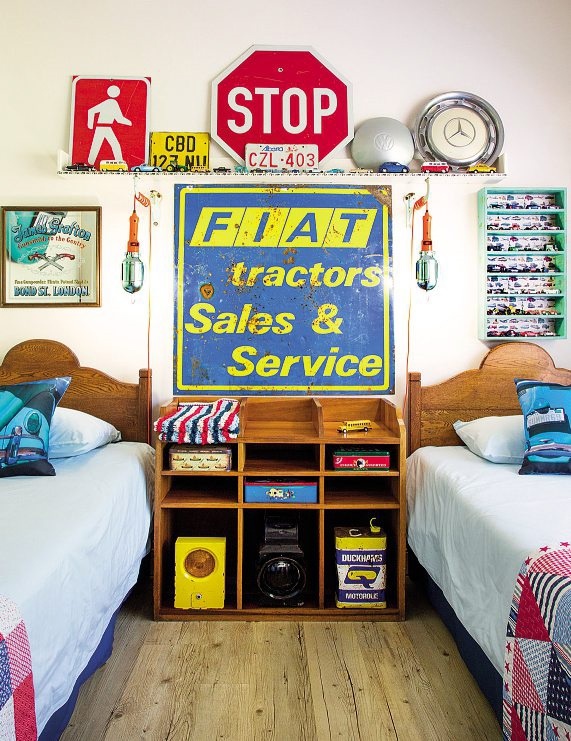 These kids’ chairs are hung up and used as storage when not in use and taken down when friends visit while a car-themed focal wall was made using a collected and found objects. 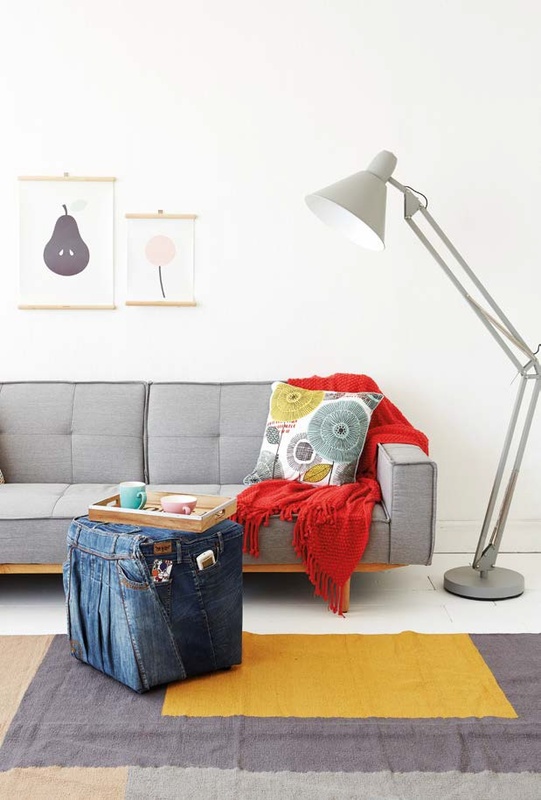 An pair of old jeans, scissors, pins and fabric glue was all that was needed to transform this ottoman. 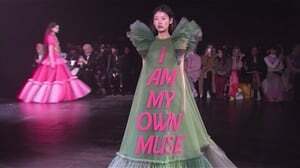 A pocket serves as a handy remote holder! Here, an old mirror has been repurposed as a splashback and it reflects plenty of light as well as the view outdoors. 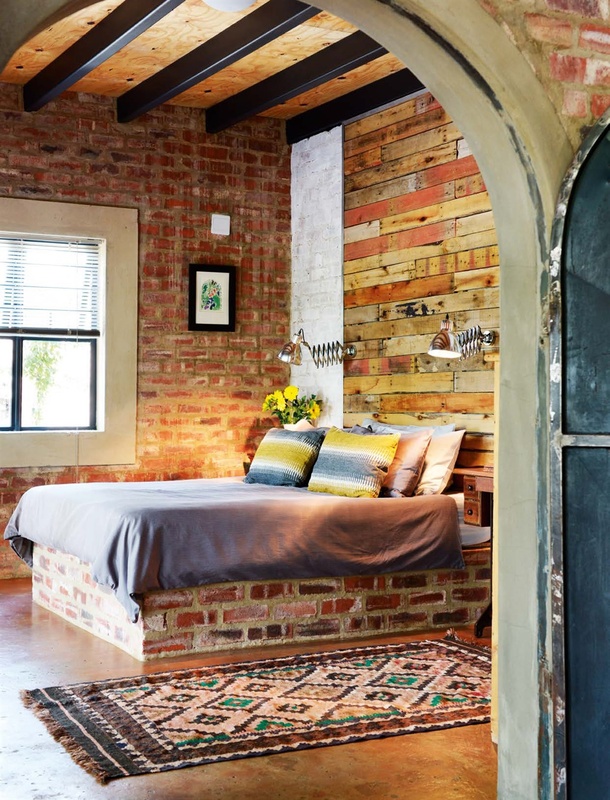 In this bedroom, the bed base is made of bricks, the headboard of old pallets framed with sheets of aluminium and the striking arched door from an unused garden gate. 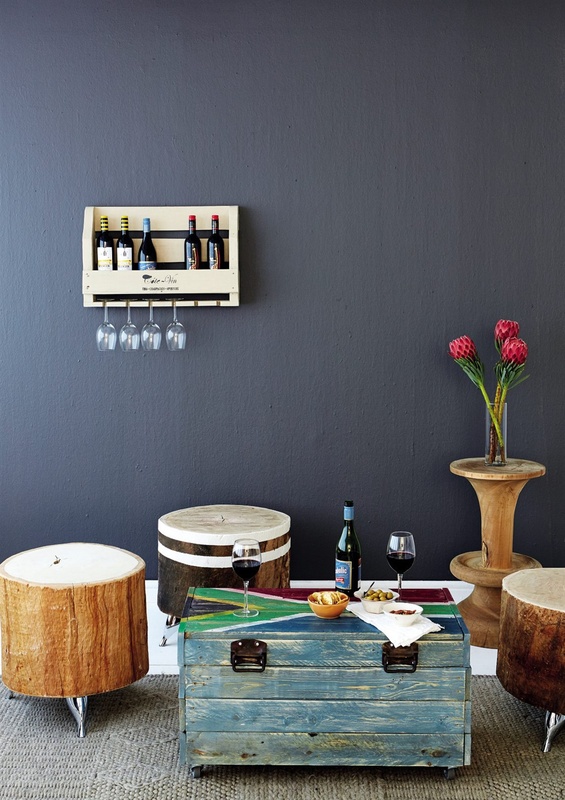 A playful décor element is a sure-fire way to add interest to a room – how inspiring is this stool, wine rack and trunk -- all are inexpensive, made from recycled timber. 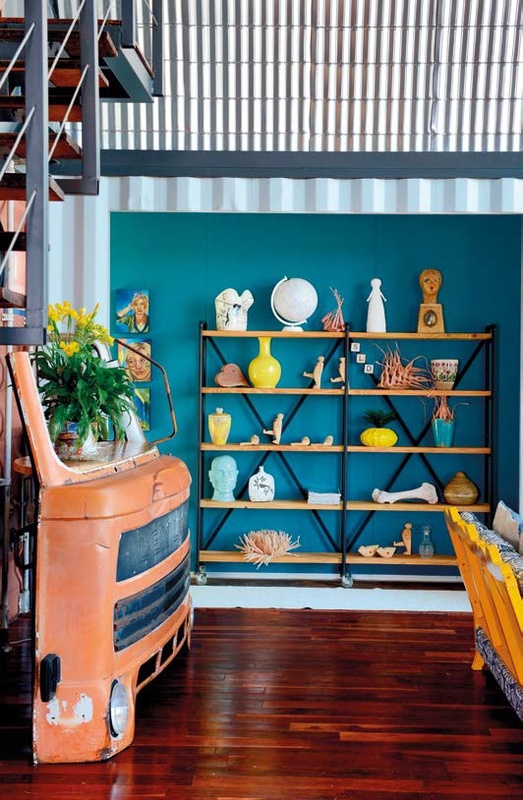 This cool bar counter was once the front fender of a truck, discovered on a rubbish dump. 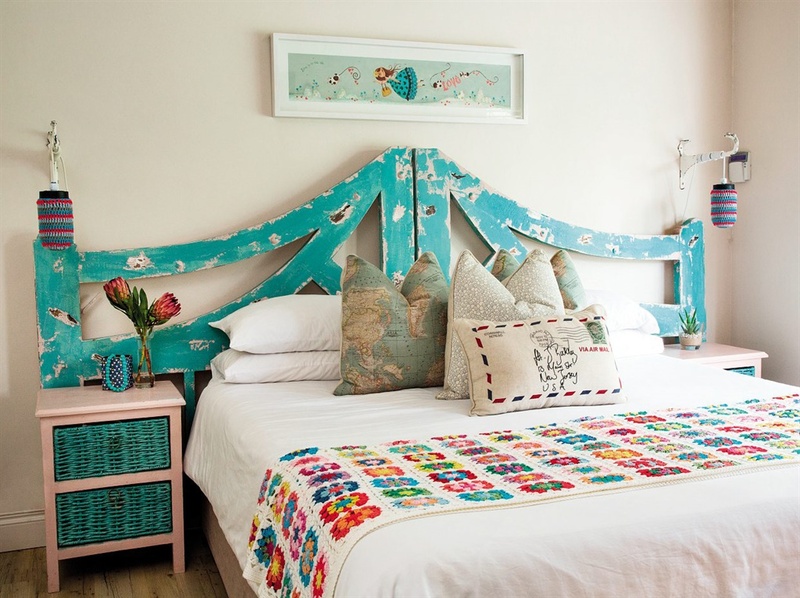 This headboard is made from wooden gates that were removed from the front garden of this home. It’s painted with Annie Sloan’s Antoinette. 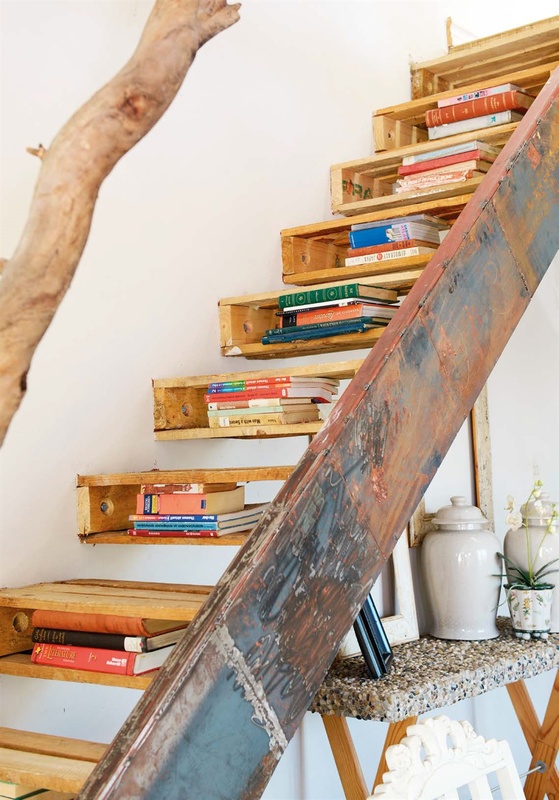 We love this staircase made with recycled steel and old pallets. 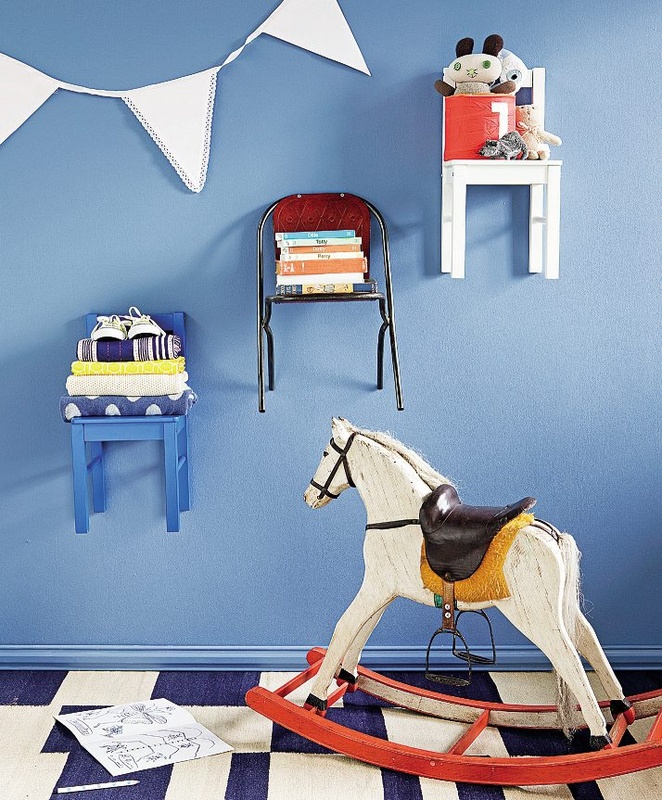 Books add whimsy and strengthen the steps.